Why Do Wedding Dresses Cost So Much Money? Did you know that the wedding industry is a recession-proof business? This is despite the fact that weddings are getting more and more expensive, and are often one of the biggest financial investments we make in our lives. There are plenty of things in your wedding that costs a lot of money, including the wedding dress. But why exactly do they cost so much? Satin, silk, velvet, lace and chiffon are popular fabrics used to make bridal dresses. These make the finest selections, and therefore incur high costs due to the materials, time and processes needed to make them. There are affordable options including synthetic fabrics like polyester, but they can look and feel cheap which isn't something many brides want to be associated with on their big day! Wedding dresses have fine details, which demands skill, time and effort. The cost of the overall gown not only reflects the materials, but the effort and time that has been put into making your dress. Some wedding dresses have additional decorative touches which are sewn and attached by hand, so dresses with embroidery, rhinestones, beads and lace cost more than simple ones due to the time taken on them. If your gown is designer, you're also paying for the time a busy, high demand designer has put into the sketches, prototype and approval of the finished dress. Machine made dresses are not as expensive, but you still have to pay for people who run the machines. You can easily buy a decent dress for an affordable price from JJ’s House which has great collection of bridal wear that won't break the budget. You can even buy suitable white dresses on the highstreet if you're after a more casual wedding or want to save on costs. Trying on a bridal dress is nothing short of an experience. Boutiques improve this experience with drinks and other niceties while you try different styles. The cost of these pleasantries are added in your dress; they're not complimentary like they might appear to be. If you're very specific about your choice, the boutique will take advantage of it. They may make you spend more time to give you a heavenly experience, so you don’t mind if you overpay at the end. It's unlikely that a dress will fit you perfectly on the first try as each and every one of us are made differently, and a wedding dress has to fit exactly. So you have to expect alterations. Alterations are important,and they cost both time and money. Costs are different for each procedure. For example, you cant expect to pay the same for shortening your gown as you wood for tweaking the sides. 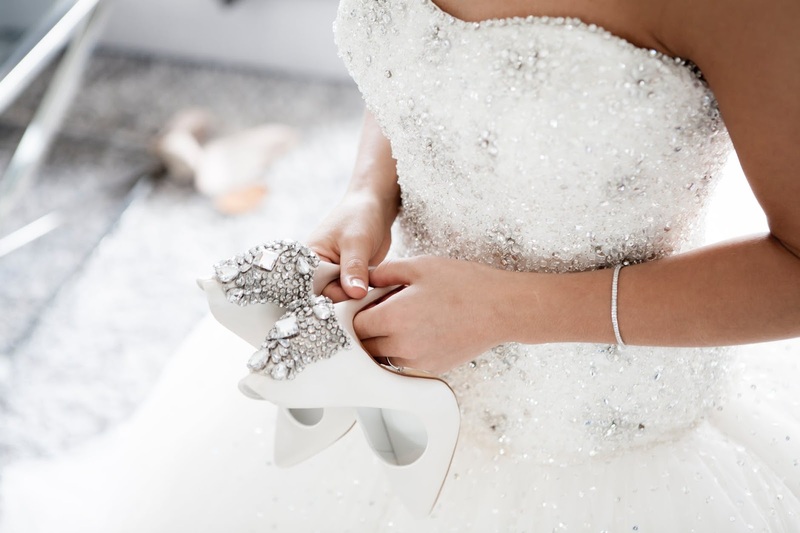 There are many things you need to get done to make sure the dress fits you perfectly. Most of these procedures are labour intensive, and again, time is money. Even a simple wedding can cost thousands of dollars. People save or borrow money for this big event, and they are tempted to show off. The list of expenses justgoes on so that we will leave that. However, the wedding dresses are a fraction of your entire wedding’s cost.